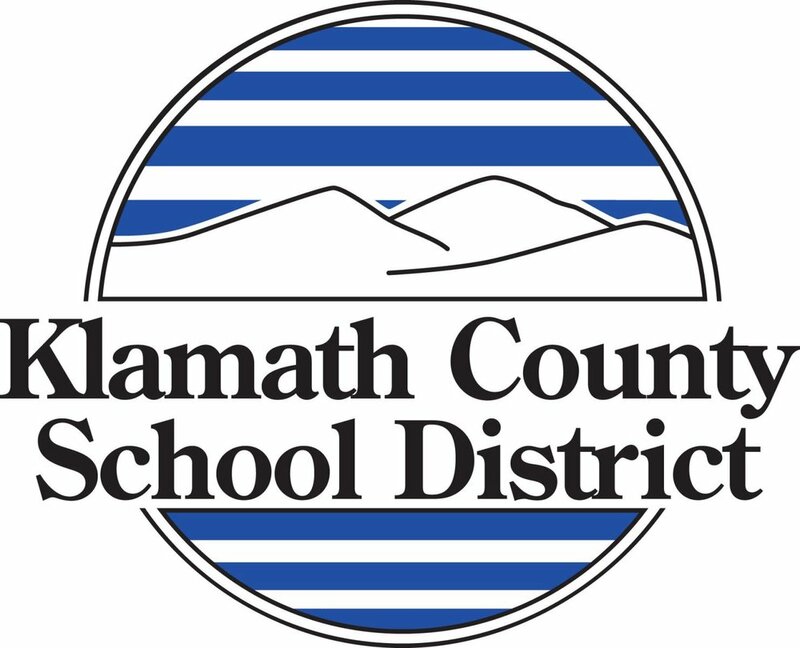 Klamath Falls, Ore. - As announcer Bob Chambrose called out the branches of the U.S. Armed Forces – Coast Guard! Air Force! Navy! Marines! Army! 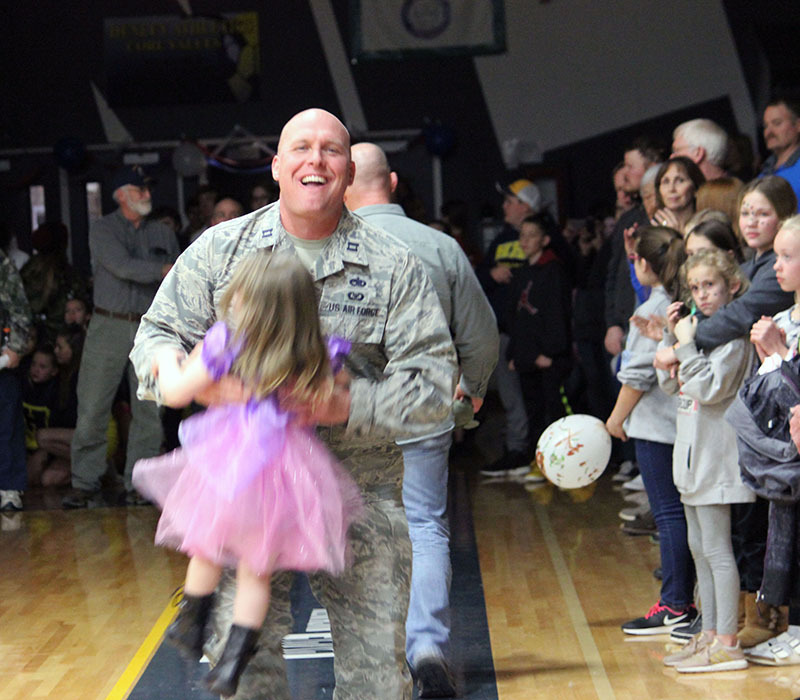 -- veterans and active duty military members made their way towards the front of the Henley High School’s basketball court. Some wore active duty uniforms; others baseball hats or jackets proclaiming their branch of service. 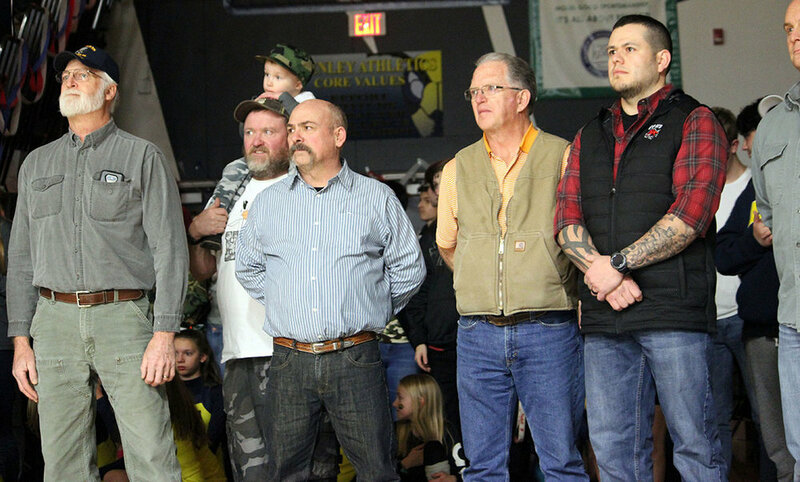 All lined up in front of the 200-member student body, facing more than 1,000 community members gathered in the stands. 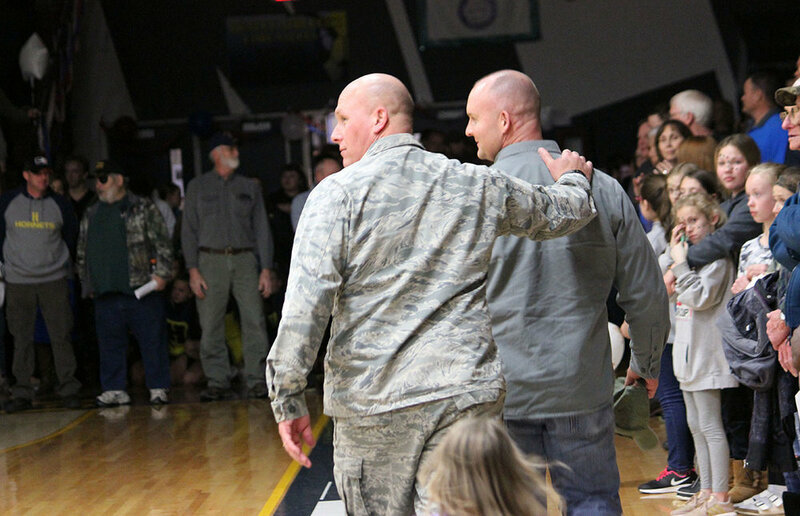 At halftime, Henley High School recognized the support and partnership of the 270th Air Traffic Control Squadron and 173rd Fighter Wing at Kingsley Field, and introduced keynote speaker Captain Rich Schuster of the 173rd Fighter Wing. JrROTC Cadets prepare the flag for the National Anthem.